Tetrakinesis is Phoning It Industries' first game release to the public. 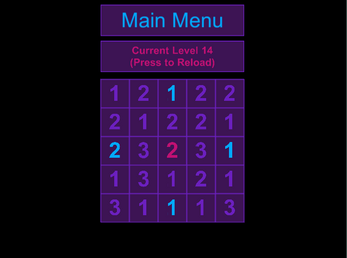 An easy to learn, but difficult to master grid-based puzzle game, the goal is to remove all the squares from the board. 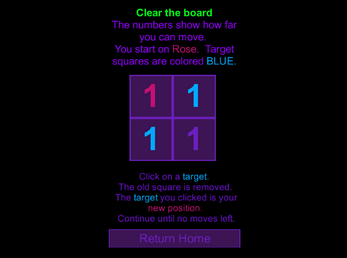 The number at your current position determines how many spaces you can move. As you leave a square, it's removed. 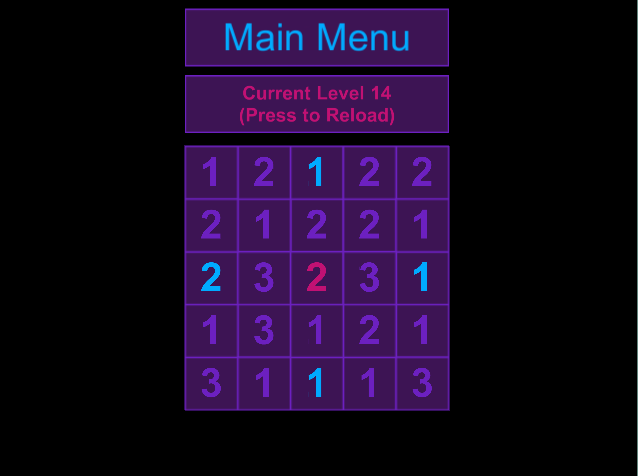 Once you land on the last square of the board, the next level loads. This current build is for Windows. It's also been tested on a Nexus 7, and, in theory, is good on any Lollipop device. I'll probably try for a Linux build as well. It's Alright - Don't You Have More Features? If you have any issues running it, please let me know so I can fix it.